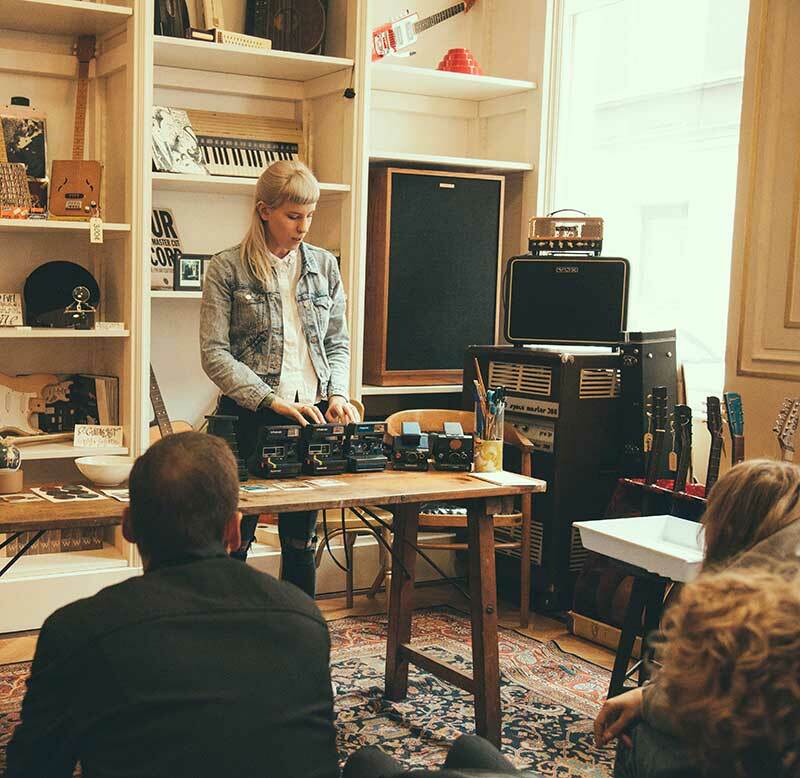 Discover analog techniques, acquire knowledge, gain experience, use your hands and master craft - guided by our passionate SUPERSENSE experts. Have you ever wondered how exactly music and tones are banned onto vinyl records? 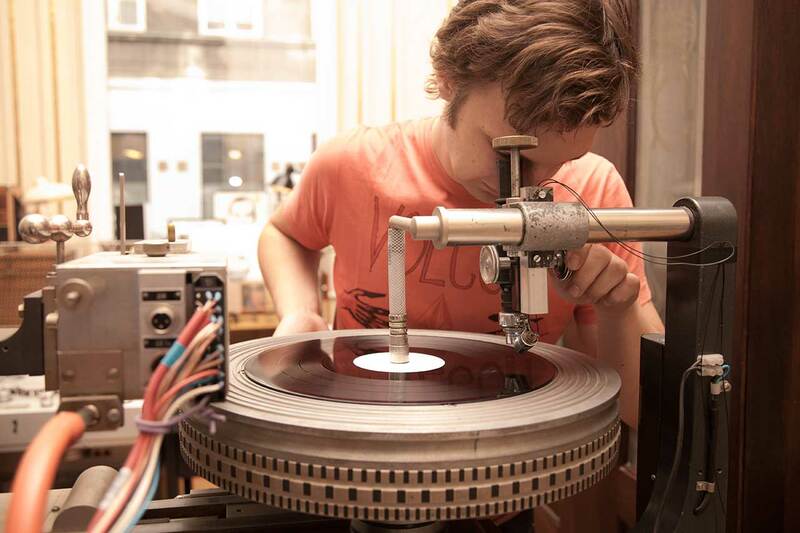 At Supersense, we have a complete analog vinyl production facility and are happy to explain you the making-of a record in detail, introducing you to all steps and tools. Discover all it takes to create a vinyl record - and record your own single disc right away in our flabbergasting record elevator! Costs: 40 Euro / incl. your very own single record! On the workshop day participants get 10% discount on all Vinyl records! Are you tired of the tons of digital photos everywhere everyday, and are you looking for an analog change, some fresh photographic experiences? We may recommend Polaroid photography. To us, nothing else is more magic than a photo developing in the palm of your hands, captured just seconds before with care, and resulting in an unpredictable chemical painting, that's just as unique as the captured moment. We introduce you to the most popular Polaroid camera types, explain you how they work and how to treat the Impossible instant film material for best results. 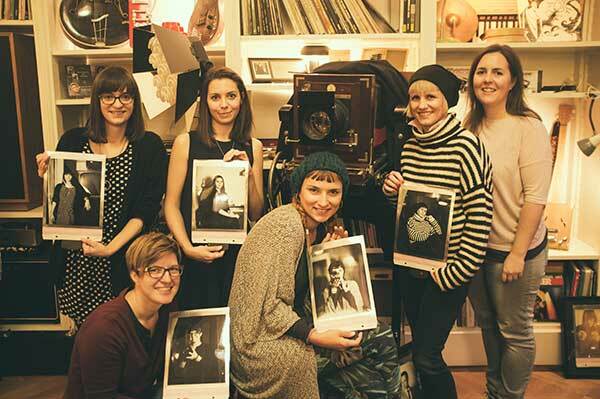 On the workshop day participants get 10% discount on all instant films! The advantage of holding a real instant photo in your hands is that you can do with it whatever comes to your mind - use it as a postcard, pin it on the wall - or work further with the visual result. 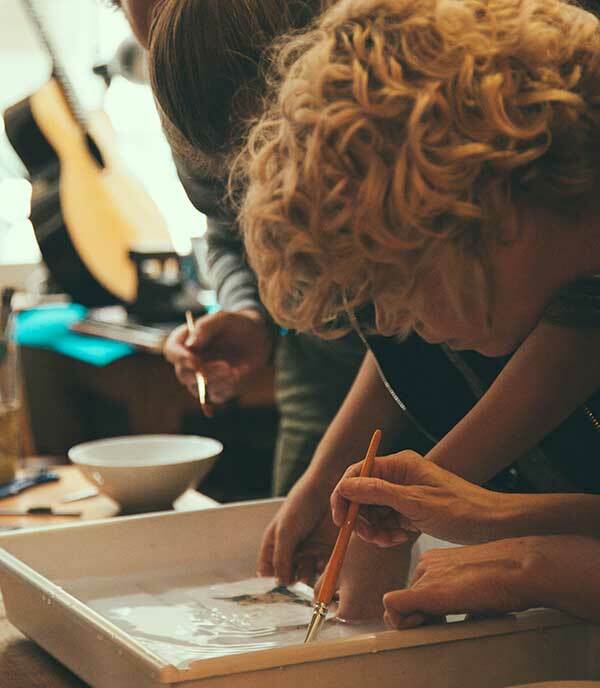 In this workshop you discover various classic manipulation techniques like the emulsion lift, where you transfer the image emulsion onto any other desired surface. Large format cameras are some of the earliest photographic devices and still enjoy popularity amongst photographers and artists - no wonder, with all the photographic possibilities and truly stunning results. See for yourself when working with our 8x10 camera, a breathtaking, old Viennese portrait camera from a traditional small portrait studio in the 15th district. Built in the middle of the last century by Camera Industrie Austria, the camera features a heavy, old-school Petzval-style glass lens for truly impressive photographic results. 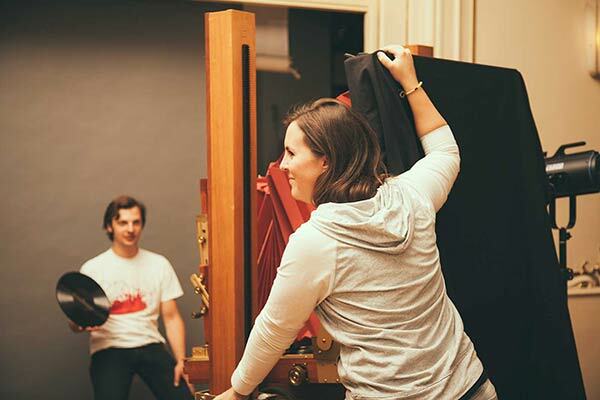 Learn how to operate the world's largest Polaroid camera (or to be precise, one of the worldwide seven pieces) and take your 20x24 portrait home with you from this exclusive workshop! The Polaroid 20x24 camera is a unique camera system, developed by Polaroid in the 70ies and producing breathtakingly large instant photos sized 20x24inch/51x61cm. Our experts are among the few people in the world who know how to operate this camera, and they'll be sharing their knowledge with participants who do then - under their guidance - take stunning large-format portraits of each other. Ready to take Polaroid photography outdoors? Our SUPERSENSE photography expert guides you and demonstrates what to consider when taking photos outside - in terms of lighting, camera settings and the film's ideal development in various temperature conditions. Choose between our Prater tour - Vienna's legendary amusement park which offers tons of great photo opportunities, or join Marc, the founder of the Reiseschneiderei (tailor-made & custom-fit city guides) through Vienna's 2nd district, one of the liveliest ones that Marc knows all the best spots of. Discover letterpress printing and get an insight into all the steps needed to create a large size artwork. This will be a team effort! We will design a poster, set it up from a mix of lead and wood type, mix the color by hand, and finally print it on our Korrex Berlin-Spezial 1968 proofing press. Costs: 70 Euro / person incl. all materials and your two take-away letterpress prints. If you need more prints, we will print them for you at a discount price. On the workshop day participants get 10% discount on all print products! 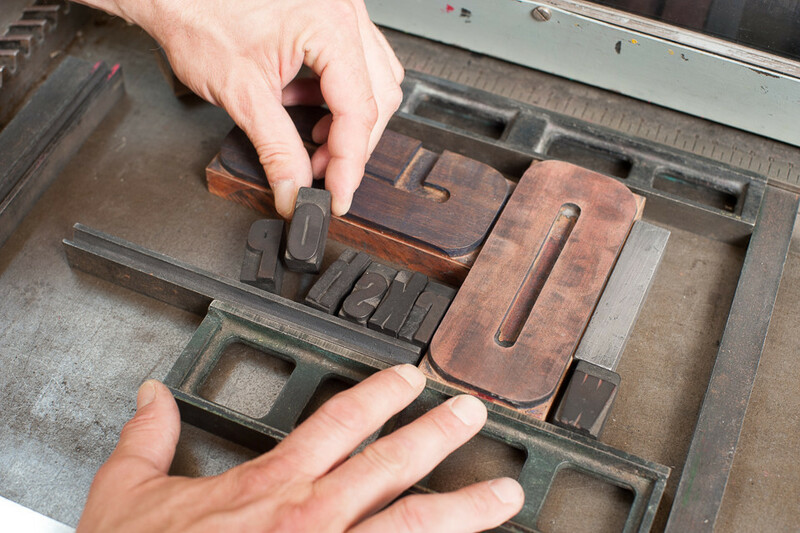 In this very personal workshop you bring your visions to life by letterpress printing. Guided by our printer Anna, you will be spending the day creating your very own letterpress prints on our lovely machines. Choose color, type, design, printing options and enjoy the freedom of trying out your ideas and creativity, in an intensive one-to-one session. Costs: 250 Euro / including 5 large format prints. If you need more prints, we will print them for you at a discount price. Discover this traditional printmaking technique from the beginning of the 20th century. 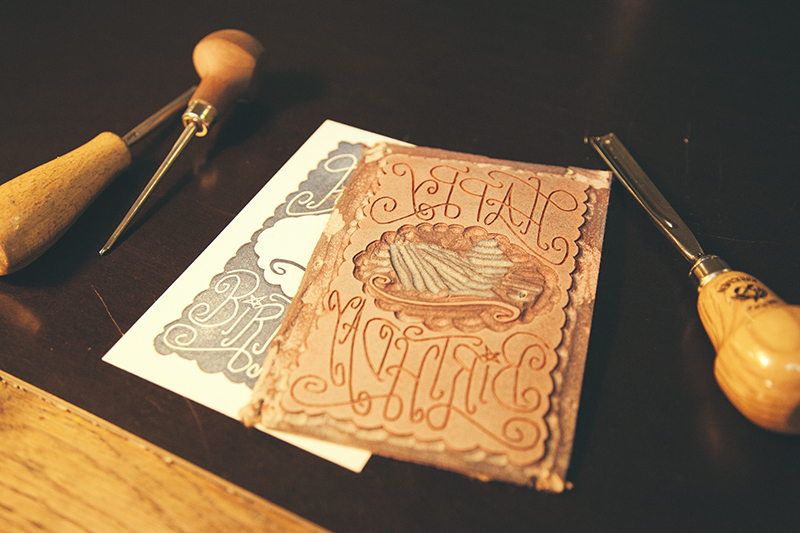 Our printer Anna will guide you and help out with creating the design on an A5 linoleum plate. 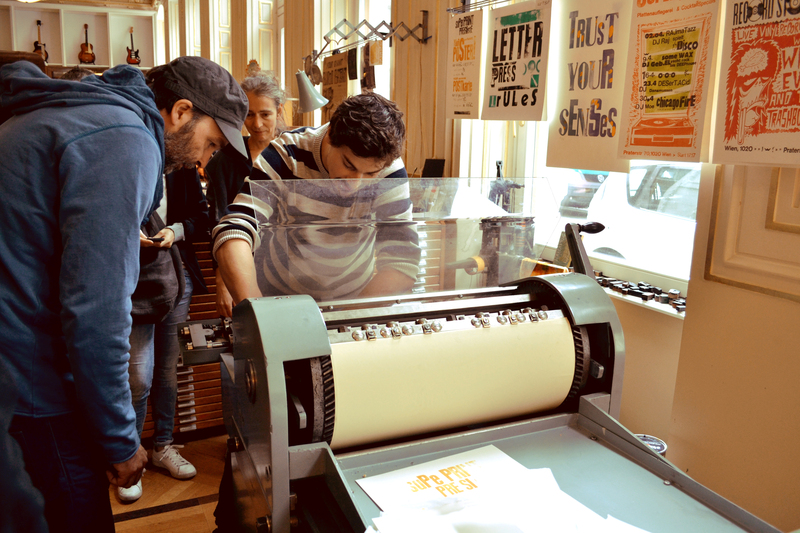 You will then learn how to cut and print it on our letterpress machines. Costs: 70 Euro / person incl. materials and 10 takeaway prints. If you need more prints, we will print them for you at a discount price. Hosted by SUPERSENSE expert: Annamaria Tatu. This is the easiest block printing technique to try out as a novice. 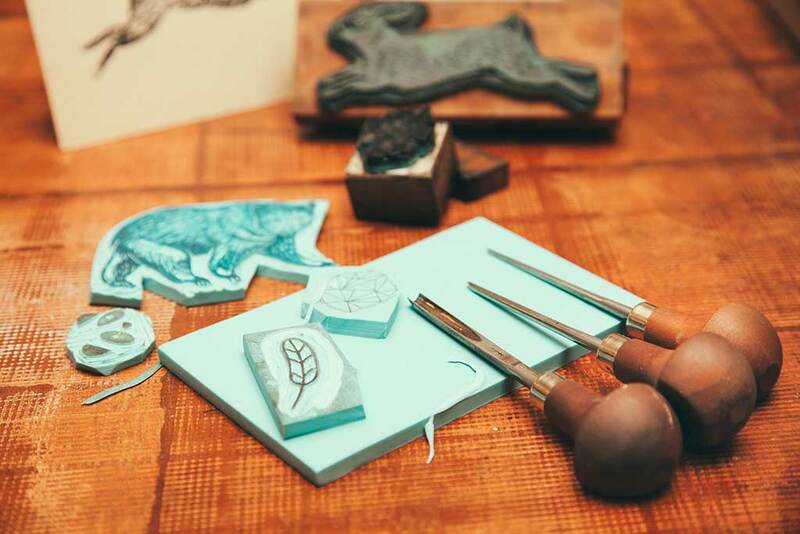 We will design and cut rubber stamps that you can then use for your own invitations, postcards, business cards or artworks without the need of a printing press. Marvelous! 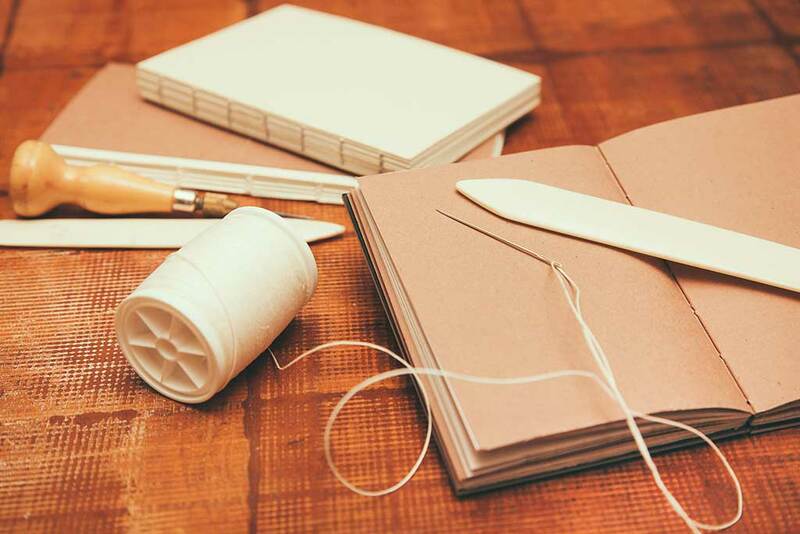 Bind your own notebook using the coptic binding technique, a method used from as early as the 2nd century A.D. You will then learn how to give it a nice cover and do the finishing touches. Take it home and be proud! You made it and it is absolutely lovely! We're not offering our workshops on a regular basis but we only hold them as per request from groups. Please do get in touch with your group of friends/family/kindred spirits/etc and your favorite dates right away. 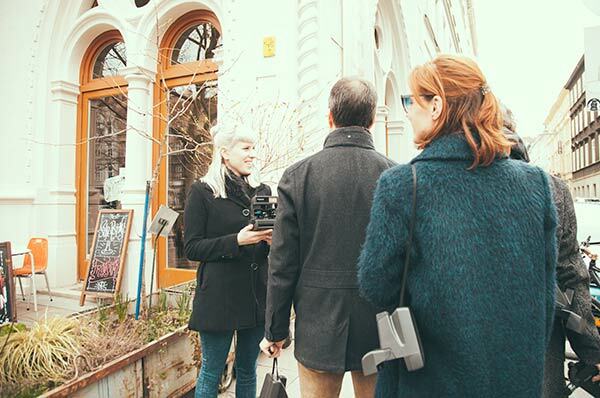 All Supersense Workshops are taking place at the SUPERSENSE Palace on Praterstraße 70 in 1020 Vienna, except our Polaroid Walks, naturally. We are also happy to design our workshops in a way that they are suitable for larger groups such as school classes. Dear teachers - please simply get in touch to discuss all details and possibilities. or simply pay us a visit - we love meeting you in person!